About one in five Americans think they have a food allergy, while the actual prevalence of food allergies is closer to one in 10. That’s the major finding of a new large-scale study published in the JAMA Network Open and led by Dr. Ruchi Gupta from Ann & Robert H. Lurie Children’s Hospital of Chicago and Northwestern University. Gupta’s survey of more than 40,000 American adults found that while nearly 19 percent believe they’re food allergic, only about 10.8 percent, or 26 million Americans, were food allergic at the time of the study. But not only do tens of millions of Americans incorrectly think they have food allergies; of the roughly 26 million who actually do, only half with a “convincing food allergy” have a clinical diagnosis for it, and only a quarter have a current epinephrine prescription. (Epinephrine is a blood-pressure support medication that can treat severe allergic reactions—that’s what EpiPens are for.) Another important finding is that half of American adults with food allergies developed at least one of those allergies as adults. “We were surprised to find that adult-onset food allergies were so common. More research is needed to understand why this is occurring and how we might prevent it,” Gupta notes. 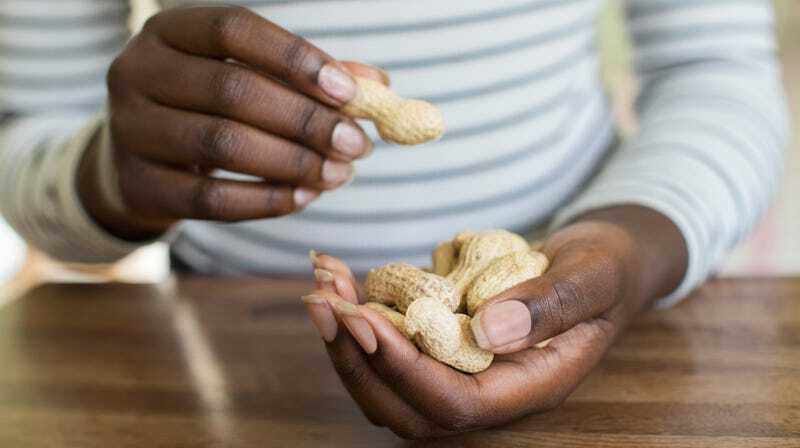 The most prevalent types of food allergies among adults are: shellfish (affecting 7.2 million adults), milk (4.7 million), peanut (4.5 million), tree nut (3 million), fin fish (2.2 million), egg (2 million), wheat (2 million), soy (1.5 million), and sesame (500,000). Is Peet’s True Iced Espresso buzz-worthy?